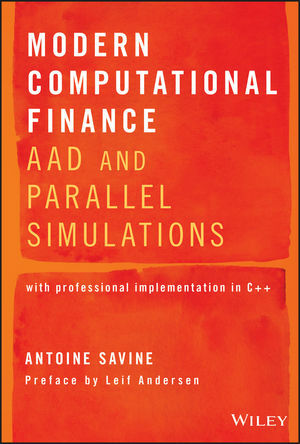 The three volumes of Modern Computational Finance (Antoine Savine, Wiley, 2018-2019) teach the quantitative, modeling, risk management and development technologies of modern finance. It is an essential reading for all finance professionals, including quants, derivatives traders and risk managers. The books are also intended for students and professors in Masters and PhD programs in computer science, applied mathematics, statistics and probabilities, economics and finance. As explained in this Quora feed, the books teach the new, most in demand quant skills in investment banks. The first volume: AAD and parallel simulations was released with John Wiley and Sons on November 30th, 2018. It covers the design of efficient, generic Monte-Carlo simulation libraries in modern C++, parallel programming and automatic differentiation. Automatic differentiation, also called Algorithmic Adjoint Differentiation (AAD) or Back-Propagation in the context of Machine Learning, is arguably the strongest addition to quantitative finance of the past decade. It is an extremely powerful algorithm and computer programming technique to compute a vast number of derivative sensitivities, analytically, automatically and with incredible speed. AAD powers deep learning systems like TensorFlow and modern systems for the risk management of financial derivatives. AAD is what allows mobile phones to learn to recognize faces in reasonable time, and the same technology allows banks to compute in real time, on light hardware, the massive amount of regulatory risks required of them. Antoine Savine was one of the main contributors to Danske Bank's xVA system (counterparty value adjustment or CVA and other, similar calculations), which won the In-House System of the Year 2015 Risk award. The book teaches the technologies implemented in Danske Bank's award winning system. AAD, in particular, is explained in deep detail and its many mind twisting aspects are demystified in words, mathematics and C++ code. The book comes with professional C++ code, freely available on Antoine Savine's GitHub repository, which is explained and commented in the book. The book earned extremely positive reviews from early readers like Bruno Dupire, Vladimir Piterbarg, Paul Glasserman or Alexander Lipton, as may be seen on its Amazon page. The preface, written by Leif Andersen, is freely available on Antoine Savine's SSRN page. A self-contained excerpt, explaining quasi-random Monte-Carlo and Sobol's sequence, is available on Wiley's page. For a brief, non-technical introduction to AAD in machine learning and finance, please see Antoine Savine's article in QuantMinds e-journal on QuantMinds' web page. The book and the code that comes with it discuss modern, generic derivatives systems suitable for production and written in efficient, modern and professional C++. Antoine also provides a more gentle introduction to AAD in his computational finance lectures, given at Copenhagen University, as well as Aarhus, Kings College London or WBS professional conferences. The slides are freely available on his GitHub repository. This presentation also introduces Deep Learning and its application to derivatives finance, with implementation on TensorFlow, discusses in detail the central technology of back-propagation, or back-prop, and establishes its connection to AAD. Finally, it demonstrates AAD with non-professional, beginner level C++ so as to introduce the technology to a wider audience of non-programmers, while the book offers a more involved, professional implementation. The second volume, co-authored by Jesper Andreasen and planned early 2019, covers the essential technology of scripting for financial derivatives, and applications to risk management, CVA and xVA in general, as well as other regulations like FRTB (Fundamental Review of the Trading Book), CCR (Counterparty Credit Risk) and others. The book and its companion professional C++ code will be available in 2019, although a number of papers and presentations by the authors, freely available on Antoine Savine's SSRN, SlideShare and ResearchGate pages, provide a preview of the material. The third book, planned late 2019, is dedicated to xVA algorithms and covers the bases, extensions and implementation of the essential LSM (Least Square Monte-Carlo) algorithm, invented by Longstaff-Schwartz and Carriere in the late 1990s, and extended and improved with recent advances in Machine Learning and Deep Learning. The book, co-authored by Jesper Andreasen and Brian Huge, both laureates of the Quant of the Year Risk award, is being written. Some elements are (partially) covered in Huge and Savine's article "LSM Reloaded: Differentiate XVA on your iPad Mini", freely available on Antoine Savine's SSRN page. 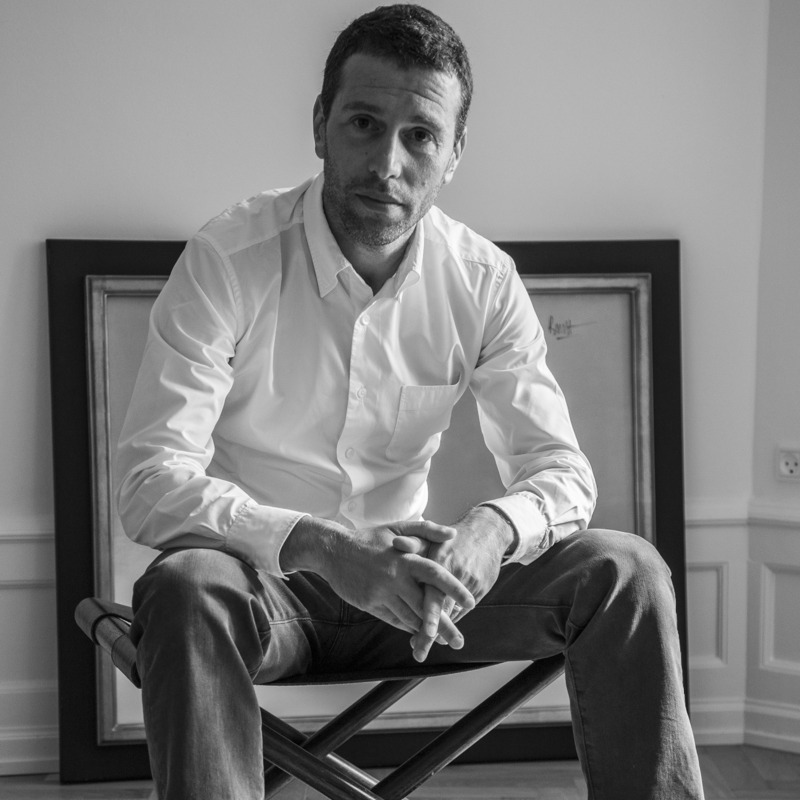 Antoine Savine is a PhD in Mathematics, a leading quantitative researcher with 25 years experience in major financial institutions alongside Bruno Dupire, Marek Musiela, Leif Andersen or Jesper Andreasen. He is well known for his influential work on volatility and multi-factor interest rate modeling, as well as scripting and risk management in finance. He is also an experienced C++ developer and one of the main contributors to Danske Bank's award winning systems. He has been teaching volatility modeling and numerical finance at Copenhagen University since 2016. Antoine Savine regularly appears at professional conferences like QuantMinds or WBS. His books contain the sum of his professional and academic experience and teach the key skills required of modern quantitative professionals. Readers are invited to leave questions, suggestions, comments and reviews on Amazon, GoodReads and this question on Quora. These topics are also actively discussed on QuantNet, Quantitative Finance Stack Exchange, DataScienceCentral, and, of course, Antoine Savine's blog.